Cold rains and gray skies make winter a trial. But hot drinks, snowy slopes, frozen lakes and a bright yellow sun? That’s the kind of winter we can all wrap our mittens around. With its snow-capped spires and cobbled, winding streets, Prague is a fairytale city that remains relatively tourist-free in winter. The stunning architecture looks even prettier under a sheet of snow, with one of the most beautiful areas being the old town, with its turrets and Romanesque vaults. Gas street lamps were recently reinstalled throughout the city center, adding a romantic hue to evenings. Cafes here are ideal for escaping the bitter cold. With its backdrop of Christmas carols and traditional markets, this is a perfect city for a winter break. “Silent Night” was performed for the first time in the Oberndorf on the outskirts of Salzburg on Christmas Eve in 1818. The city’s main market is held in the shadow of Salzburg’s Hohensalzburg fortress, but the one held in Mirabell Square is especially popular with foodies who come to sample local delicacies such as halusky — pieces of dumpling mixed with fried bacon. What to do: For a different perspective on Christmas, there’s the Christmas manger exhibition at the Panorama Museum on Residenzplatz between November 29 and January 12. Panorama Museum, Residenzplatz 9, Salzburg; +43 662 620808-730; everyday 9 a.m.-5 p.m.
Tromso: One of the world’s best spots for northern lights. There are several reasons Tromso, known as the capital of the Arctic, is great in winter. 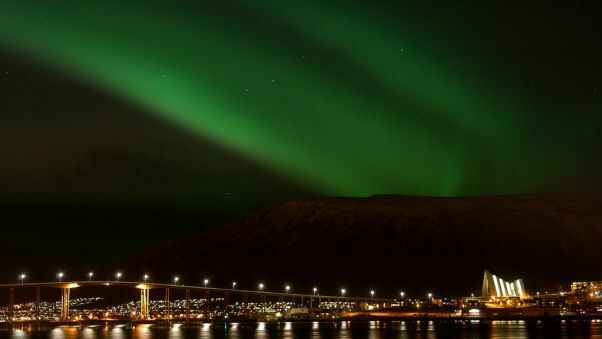 It’s widely regarded as Norway’s most beautiful city and is a base for spotting the northern lights. 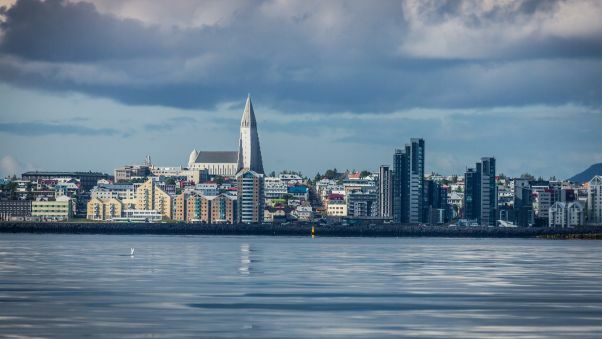 There are also several fascinating museums, including the Polar Museum, which offers an insight into the history of Arctic expeditions, and the Tromso Museum, which is famous for its Sami exhibitions. What to do: The Perspektivet Museum on Storgata offers fascinating insight into Norwegian art. Perspektivet Museum, Storgata 95, Tromsø; +47 77 60 19 10; Tuesday-Sunday 11 a.m.-5 p.m. In winter, Amsterdam’s museums are empty, making it the time to visit attractions such as Rijksmuseum or the Anne Frank House. Built originally to house a circus, the Royal Carré Theatre celebrated its 125th anniversary last year. Children will love the spectacular performances, which feature athletes from Russia, North Korea and China. What to do: For Christmas shopping, smaller shopping areas like Haarlemmerstraat in the Jordaan, the Spiegelkwartier and the Negen Straatjes are better than the big department stores. As a former Winter Olympics host city, Nagano is a great base for exploring nearby ski resorts. The natural hot springs on the outskirts are perfect after a day on the slopes. Beautiful, snow-covered Buddhist temples are worth checking out, as is the Togakushi Minzoku-kan folklore museum, which has a fascinating display about the ninjas who once trained there. A top tip? “The Neapolitan pizza oven place Qui E La that’s tucked away in a private home in the woods is an even more welcome refuge in winter,” says travel blogger Una, founder of lets-get-lost.com. Although Iceland’s capital city is one of Europe’s coldest spots, it has plenty of natural hot springs to warm up in (some of the best can be found in the Nauthólsvík area of the city). The annual Winter Lights Festival, which takes place in February, is a spectacular celebration of winter. Visitors can try their hand at a wide range of winter sports or skate on the city’s Tjörnin pond. Many cozy coffee houses sell rúgbrauð — locally made, dark, sweet bread. Where to eat: Dill restaurant in the Nordic House cultural center. Chef Gunnar Karl Gislason is passionate about local produce and the food here is some of the freshest in Iceland. What to do: Harpa, the city’s concert hall, was designed by Danish-Icelandic artist Olafur Eliasson to reflect Iceland’s geology. It’s constructed from more than a thousand glass blocks. Christmas markets are the ideal destination for pre-Christmas retail therapy.Munich’s famous Christmas market, the Christkindl Markt, dates back to 1642. It is celebrated on the city’s central square, Marienplatz, in the heart of the Old Town. A 100-feet high Christmas tree towers over traditionally decorated booths which offer everything from mulled wineand Lebkuchen (gingerbread), to Bavarian woodcarvings, handmade toys, and glass crystals. Markets open on November 25th and are held daily til December 24th, 2016. Don’t miss the traditional Christmas concerts that are held every day at 17:30 on the balcony of Munich’s Town Hall for free. What to do: The Tollwood Winter Festival is held on the same fairgrounds as Oktoberfestand features an international Christmas market, where you can hunt for treasures from around the world and sample organic ethnic food. Locals love this festival for its colorful cultural program, which is famous for its world music, art workshops, and theatre and circus performances. The market will be held from November 23rd til December 31st, 2016. Entrance is free, but some performances require tickets. If you arrive after Christmas, take part in the legendary Silvester (New Year’s Eve) party. Ottawa’s Winterlude festival is one of the world’s largest winter festivals and is famous for its ice sculptures, outdoor concerts and toboggan courses. The Christmas Lights Across Canada scheme sees some of the city’s largest monuments and buildings bedecked with Christmas lights. From January, the city has the world’s coolest commute — the 7.8-kilometer (4.8-mile) Rideau Canal Skateway, which is used by commuters, schoolchildren and students to get through the heart of downtown. What to do: From January to February visitors can take a spin on the world’s largest natural ice rink — the Rideau Canal. Lightning up a white Christmas every year. 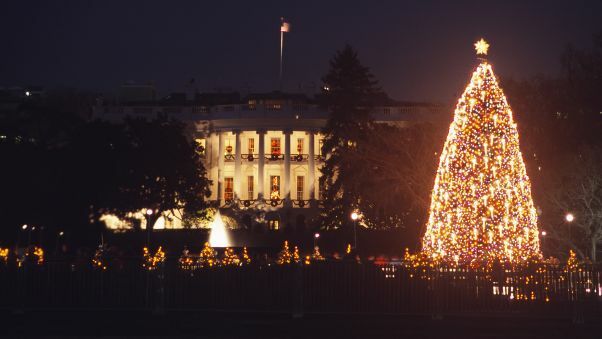 If you’re arriving in Washington by rail, you shouldn’t miss the enormous, 30-foot Christmas tree that was given to Union Station by the Embassy of Norway. In November and December, the ZooLights show at the National Zoo opens late and stages spectacular light shows. The White House and Lincoln Memorial look especially beautiful in the snow. During winter, the Washington Ballet stages performances the Nutcracker. What to do: Zoolights at Washington Zoo kicks off on November 29 and lasts until January 1. Half a million individual LEDS turn the popular attraction into a veritable winter wonderland. Zoolights at the Zoo, 3001 Connecticut Ave. NW, Washington, D.C.; +1 202 633 4888; November 29-January 1, daily, 5-9 p.m.
Cobbled streets, a beautiful castle and lovely public gardens make Edinburgh a beautiful city any time of year, but in winter it’s breathtaking. Since the launch of Virgin Atlantic’s Little Red service, it’s even easier to get to, with regular flights between other UK cities including Manchester and London. Princes Street Gardens are transformed into a wonderland, complete with ice skating rink, enormous Christmas tree and a Ferris wheel, all in the shadow of the castle. On the edge of the city, Arthur’s Seat is the perfect location for a winter walk and the views from the top are second to none. Where to eat: Edinburgh isn’t about haggis and tatties. For fine dining, One Square restaurant and bar at the Sheraton Grand on Festival Square is the place to go. The drinks menu is impressive — there are 52 types of gin to choose from. One Square, 1 Festival Square, Edinburgh, +44 131 221 6422; daily, 7 a.m.-10:30 p.m.
What to do: A tour around Edinburgh’s underground vaults is a great way to learn about the city’s fascinating history. That is an awesome list ! Some great places indeed ! Thank you 😘 I have yet to visit them all 🙈🙈 which one you prefer? This is a wonderful list. I’ve seen a few of these places in the summer, but I bet they would be extra magical during the winter. This List is amazing. I have to be honest though, I prefer sunshine and beach. I would love to visit most of these places Iceland keeps catching my eye, I had a friend from there from school and they have very different customs which intrigues me. I think for me I’d like to try Ottawa, Rekjavik and Tromso that I would like to try, although think the natural hot springs and snow-covered Buddhist temples near Nagano sound pretty awesome. Thanks for sharing, some fab ideas! Maybe you could also try Kashmir in the Himalayan range in India. I liked the salzburg castle. The halogen light colour against the early morning blues by the snow, makes it surreal. I am a sucker for such colours. Nagano, I remember had the winter olympics sometime in 1998. So happy to read your post because I will be visiting two of these cities this year for a winter holiday – Salzburg and Munich! They look so pretty, I am looking forward to the trip! Beautiful compilation. Only place I have visited is Ottawa and Washington DC. Eight to go. Great list !! I’ve also heard a lot about Lofoten in Norway ,the islands seem magical ! !